VIP and Meet & Greet Packages available for this show – Limited Availability! Details below. 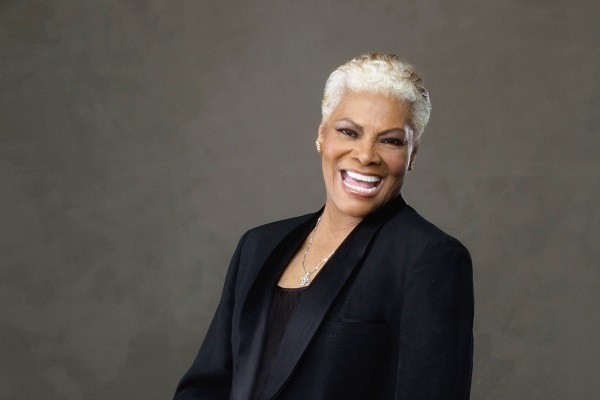 Dionne Warwick is a six-time Grammy Award-winning music legend who has earned more than 75 charted hit songs and sold over 100 million records. She was discovered by Burt Bacharach and Hal David in 1961,and went on to record 18 consecutive Top 100 singles (“Don’t Make Me Over,” Walk on By,” “Say a Little Prayer,” “A House is Not a Home,” “Alfie,” “Heartbreaker,” “Déjà Vu,” among countless others). She received her first Grammy in 1968 for “Do You Know the Way to San Jose?”. Ms. Warwick became the first African-American solo female artist of her generation to win the prestigious award for Best Contemporary Female Vocalist Performance.